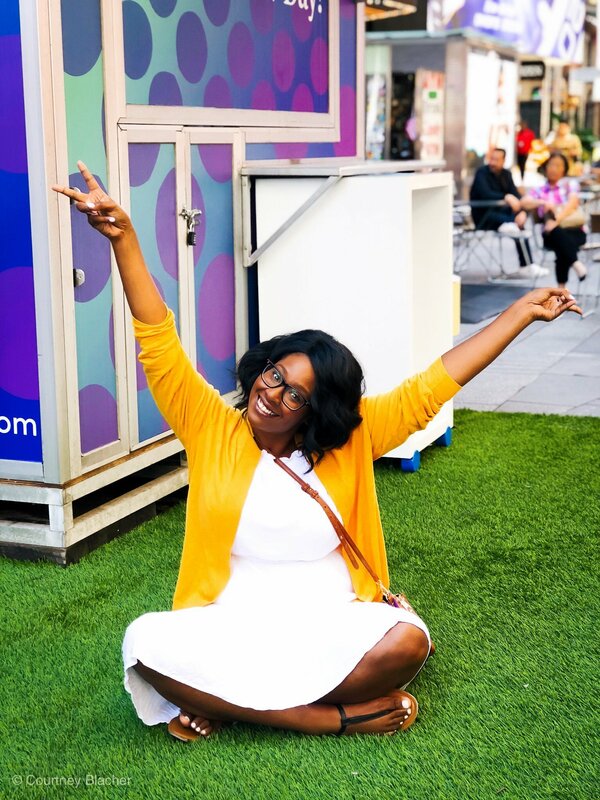 Adventures By Disney New York City In A Weekend! 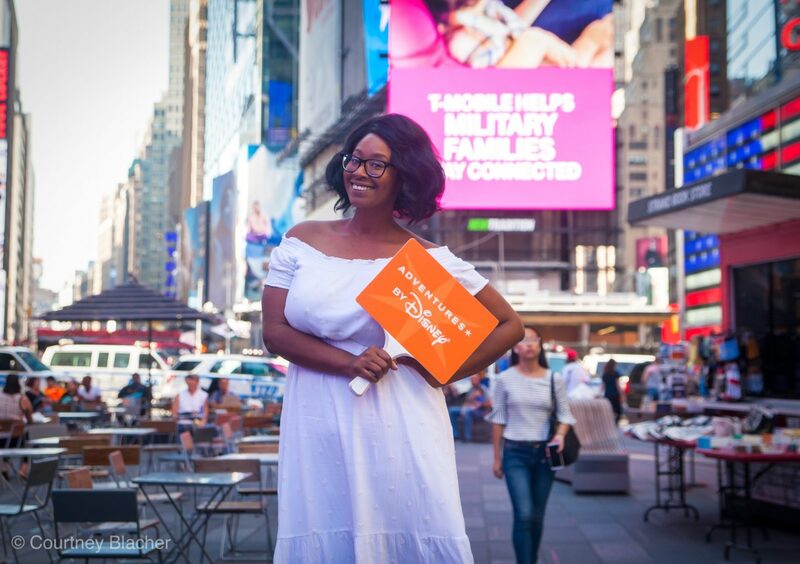 This post “Adventures By Disney New York City In A Weekend!” was sponsored by Adventures by Disney. All opinions expressed are my own but are an accurate reflection of my experience. For more information on our sponsored post and/or affiliate link policy, please click here. I had the opportunity to go on an Adventure with Disney and OMG… it was magically epic! 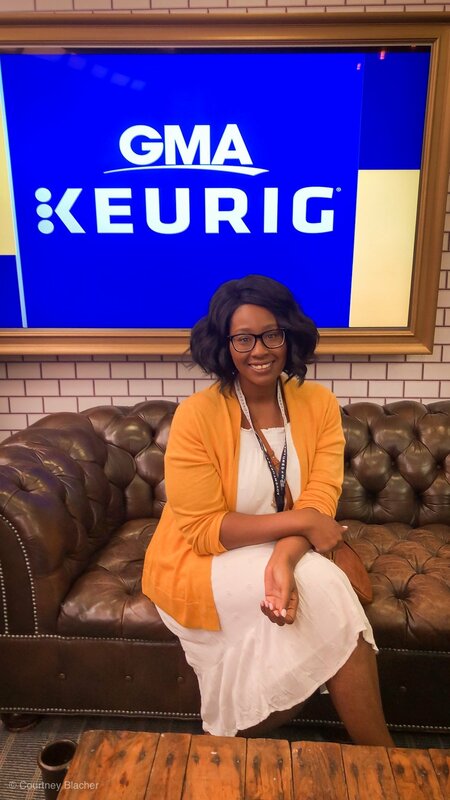 I have been wanting to partner with Disney for the longest time, so when I received an invite to head to New York to experience their Adventures By Disney New York City Short Escape, I jumped at the opportunity (no really, I actually jumped up and down in my living room lol). But when I checked the dates my heart sank when I noticed it was during the time my Reese was in school. Normally I would have pulled her out, but she had testing that needed to be done at school so I decided she would sit this one out. 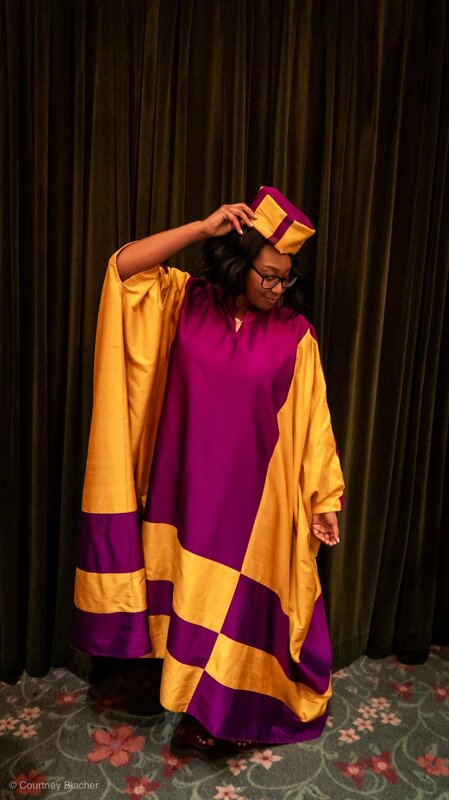 Now, when most people think Disney, they automatically think kids but there was no way this adult was passing up an Adventures By Disney New York trip. So, sorry kid, I’m going without you, lol. 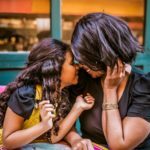 I was pretty sure I was going to be the only person without a kid but to my surprise that was not the case. There were adult mother/daughter pairs, couples celebrating their anniversary and girlfriends just looking to get away and explore. The traditional Adventures By Disney New York Escape lasts four days but Disney packed as much fun as they could have in 2 days so that we could experience the magic and get back to our families. 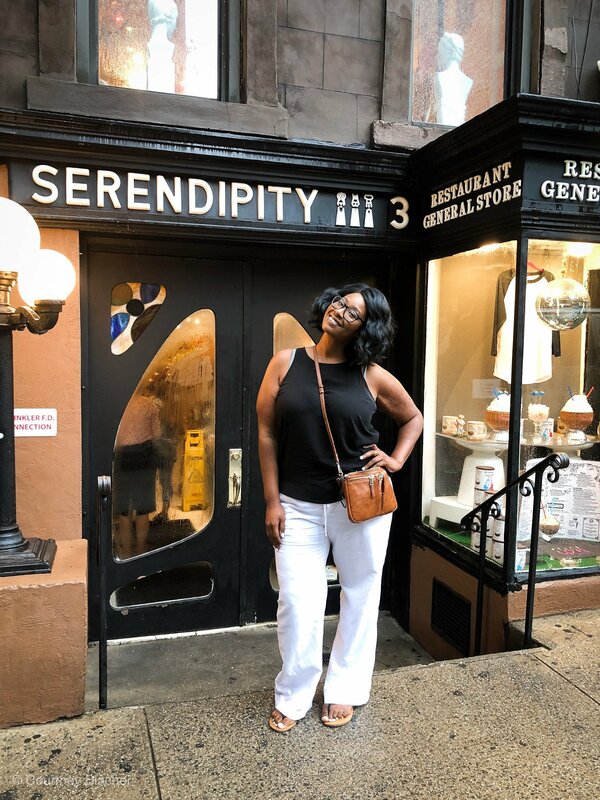 We stayed at the Intercontinental Time Square Hotel in Manhattan and let me tell you; I felt like Miranda Priestly from “The Devil Wears Prada,” living it up in New York City. The city was as glamorous and hectic as you would expect. 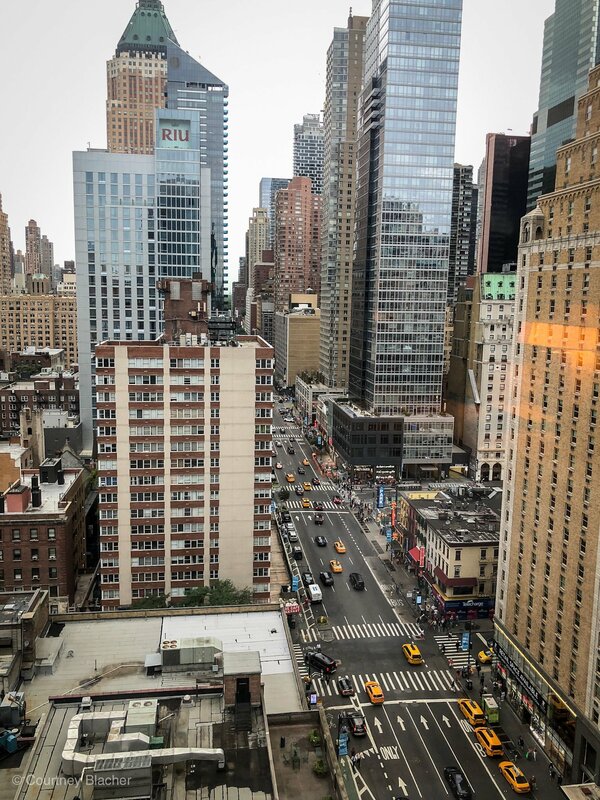 The hotel offered a dramatic view of the city, Time Square and the Hudson River right from my hotel room. It was simply breathtaking and the perfect opportunity to snap a few pics. After a long day of walking around and doing so many activities, the spa-inspired walk-in rain shower was out-of-this-world! It felt amazing to get back to the hotel knowing that heavenly walk-in rain shower was waiting for me. What I love the most about this hotel was its location. When I pick a hotel it’s all about Location, Location, Location! for me so I loved that the Intercontinental was in the heart of the Broadway theater district making it quick and easy to get to all the amazing shows. When you get some free time to explore you’ll also be excited to discover you’re also near touristy sites like Rockefeller Center, NBC Studios, Radio City Music Hall and the Empire State Building. You’re also near the famous 5th Avenue shopping where you’ll find some of the most renowned couture boutiques and department stores. You’re also a short walk from Central Park so if you have time grab a cup of coffee and take a stroll through Central Park to get away from the crowds and relax in a quiet zone. This also proved to be a great opportunity for us to get to know each other as well as get an overview of what we would be doing, ask questions and meet our Adventures By Disney guides. What I love the most about Adventures By Disney is that they give you lots of time to explore with the group. But they also give you a chance to go out on your own, even when it comes to meals. I simply adored the fact that they had it all planned out, but they were totally okay with you venturing out on your own to explore the city. Now, New York City’s food scene will seriously take you around the world. They’re known for their iconic New York cheesecake, New York-style Italian ice, baked pretzels, New York-style pastrami, and of course, New York-style pizza. We couldn’t really fit in all these tasty items on this trip but man oh man did I try lol. Here are a few places we ate with Adventures By Disney New York and a few places we discovered on our own. 1. 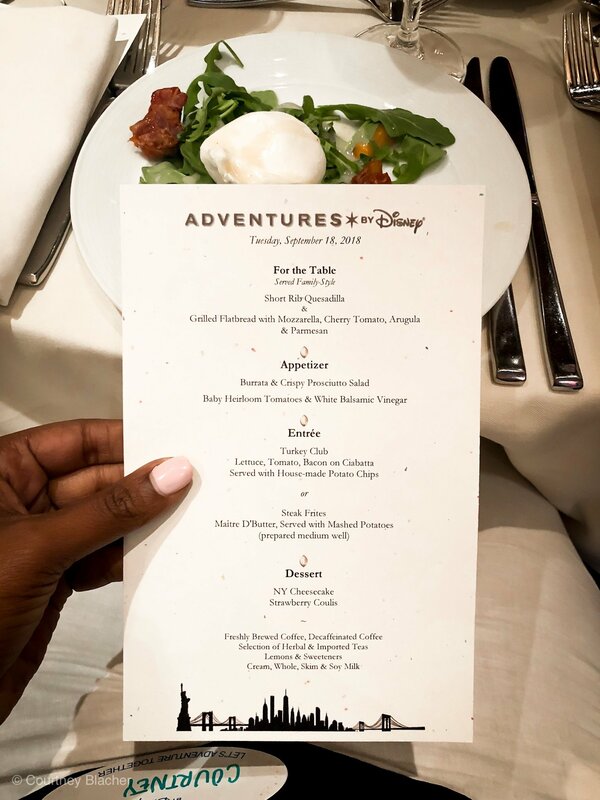 Welcome Dinner with Adventures By Disney – This dinner took place on the first night and it was in the hotel. I love that Disney checked with us prior for any dietary concerns. They really go above and beyond. While I don’t have any restrictions myself, I noticed they were very accommodating with those who did. I saw vegetarian options, vegan options, and gluten-free options. The menu offered all the yums which I totally needed to recharge after my flight, and guessing from the looks on the faces of the other guests, they needed this too. 2. 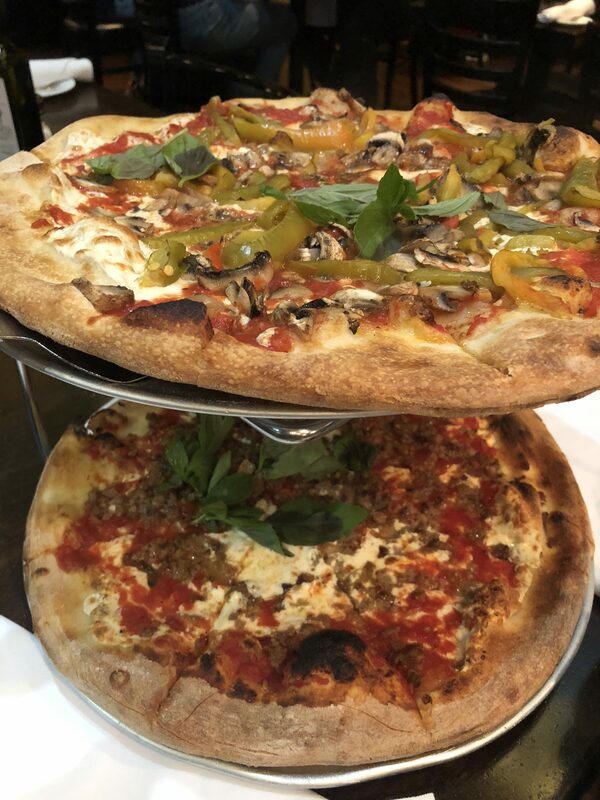 John’s Pizzeria – What I loved about this place is that it was started by a single mom, Madeline Castellotti, who wanted to bring a family-friendly eating experience to Time Square. 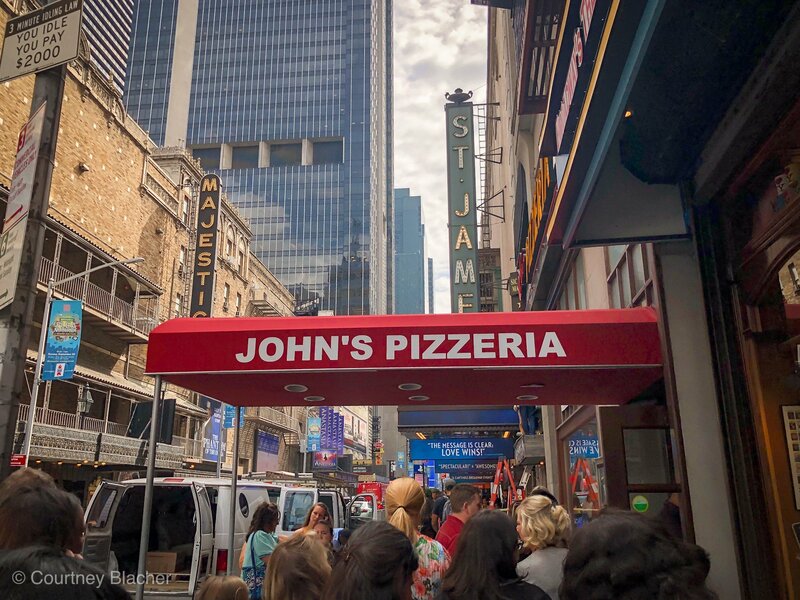 I know this might sound weird to most of you because the pizzeria is named “John’s Pizzeria”. But I thought the history was truly empowering. Madeline did such an amazing job, that John’s Pizzeria was voted one of the best in New York City. And after trying their pizzas, I tell ya, they’re not overhyping it whatsoever! They truly make one of the best pizzas I’ve ever tasted in my entire freaking life using one of their four coal-fired brick ovens. Highly recommended! 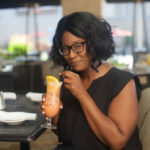 When the group and I had a chance to go out and explore on our own, we discovered these amazing eateries that I would totally recommend as well. 1. Serendipity 3 – This old-school dessert destination is known for their famous frozen hot chocolate and whimsical décor. It’s been enchanting locals and tourists since it was founded in 1954. Even famous actors like Marilyn Monroe, Cher, Selena Gomez, and Kim Kardashian have reportedly satisfied their sweet tooth there. And I can certainly see why. There were so many decadent desserts that it was impossible to pick just one. No. Seriously. It was impossible. I wanted to order everything on the menu. 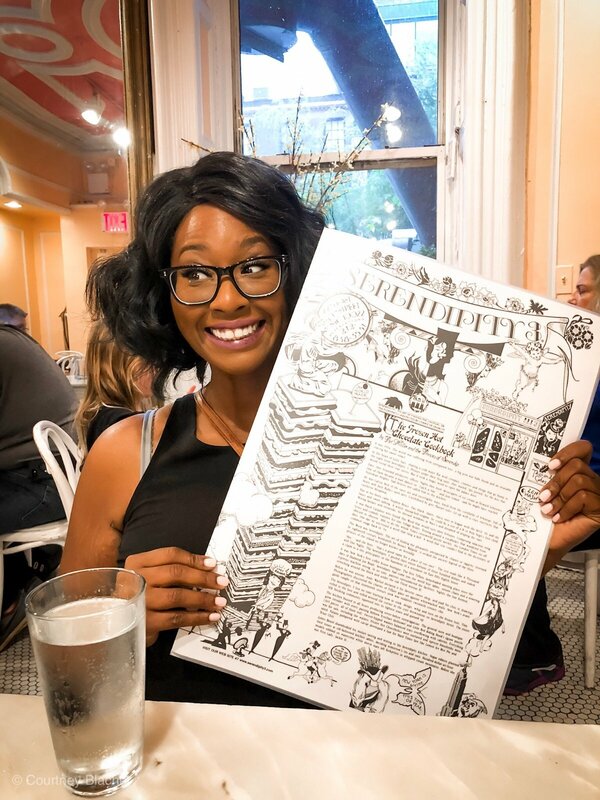 Serendipity also severs non-dessert items and has a fun menu of great burgers, footlong hot dogs, salads, fish dishes, wings, and even vegan options. 3. Dylan’s Candy Bar – This was the one place that made me wish Reese had come along. It’s adult and kid-friendly, and the employees here were genuinely kind and helpful. But there’s a lot to look at too. They have so much candy and its EVERYWHERE! It’s on the floor, and on the walls, which makes this the perfect place to snap a few Instagram pics. I went into a diabetic coma just looking at all the candy they had to offer. But I had a lot of fun walking around and looking at everything on the main floor and then the huge downstairs area. 1. 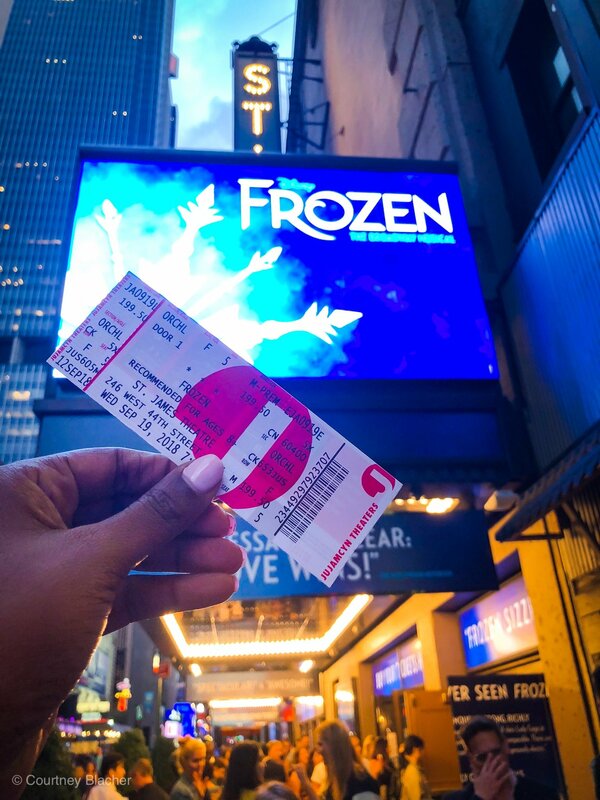 Frozen on Broadway – I’ve seen the movie about a dozen times with Reese, I’ve even watched it twice by myself! 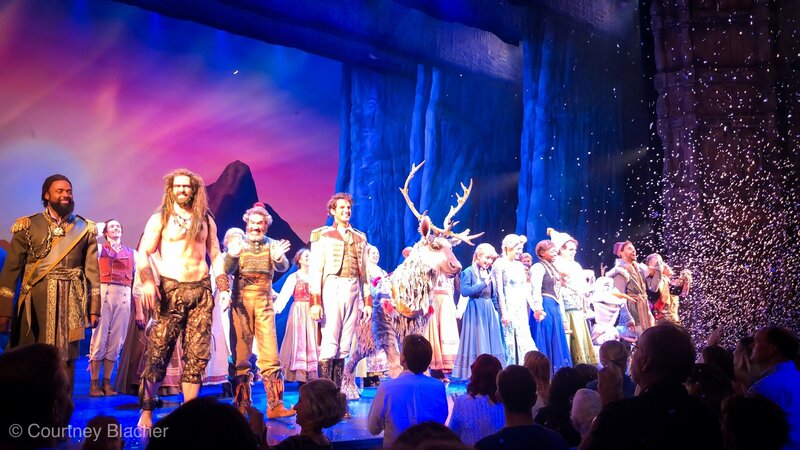 But watching the characters come to life on Broadway was a whole new magical experience for me. So I just “let it go” and had a total blast! For starters, the production was created by a Tony and Oscar Award-winning team, and they had twice as many songs as the original movie. 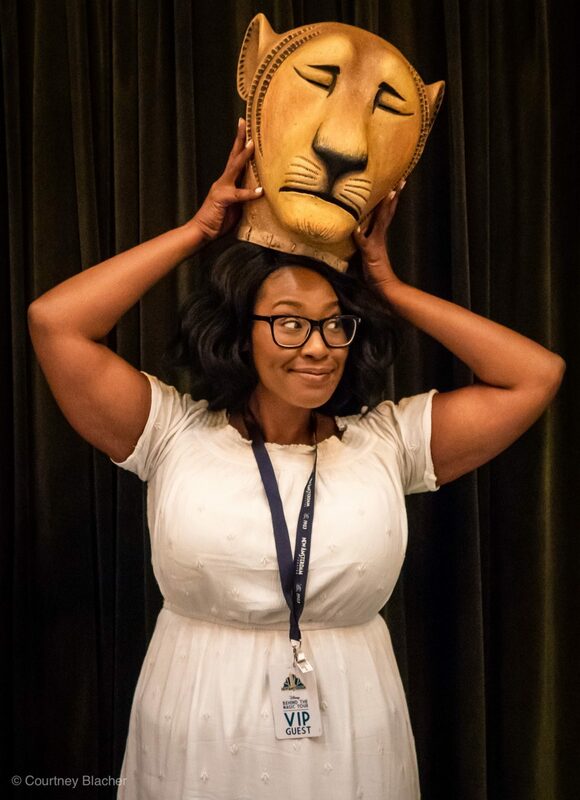 But one of the perks of being on Adventures by Disney New York was the fact that we had a Q&A with Aisha Jackson, who played Anna, and Jeremy David, who is also part of the cast. That was an incredible treat we weren’t expecting! 2. 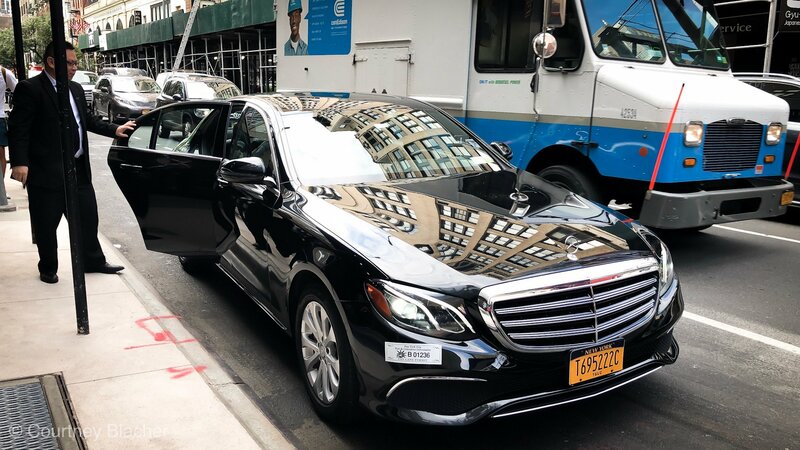 The Ride NYC – In just 75 minutes, we got to take a tour of Midtown Manhattan and Time Square aboard a multi-million-dollar motor coach with floor-to-ceiling glass windows and stadium seating. The ride hosts are a riot too, but the real entertainment comes from watching people performing, rapping, and doing nutty things in the middle of the streets. It felt like all of Manhattan was a theater and our bus was the embodiment of theater seats with wheels. 3. 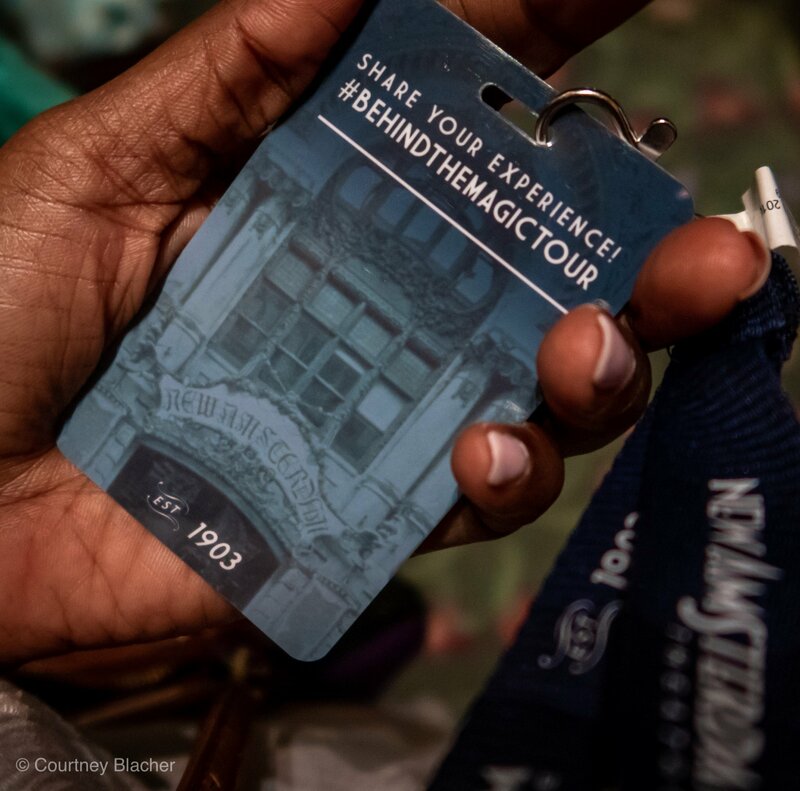 New Amsterdam Theater Tour (Behind the magic) – We got the chance to go behind the scenes and learn about the history of the theater, its architecture and learn a little about Art Nouveau. Spoiler alert: It’s a type of ornamental style that blossomed around 1893 when Victor Horta introduced casting an iron decorative mural paintings and mosaics into the homes of the bourgeoisie families in Brussels. Then, this sophisticated and opulent style quickly spread all throughout Europe and The United States. 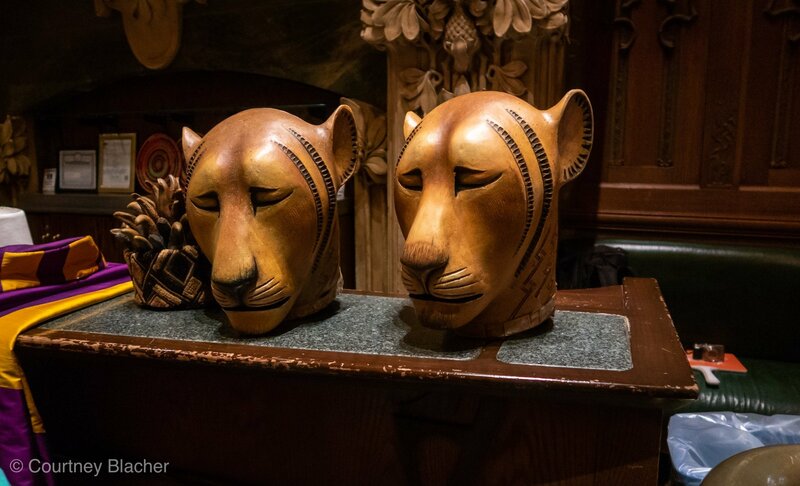 At the time, it was considered pretty revolutionary, (which is why it’s called “Art Nouveau!”) At the theater, they even let us try on a few costumes from shows that have run there like The Lion King and Aladdin. 4. 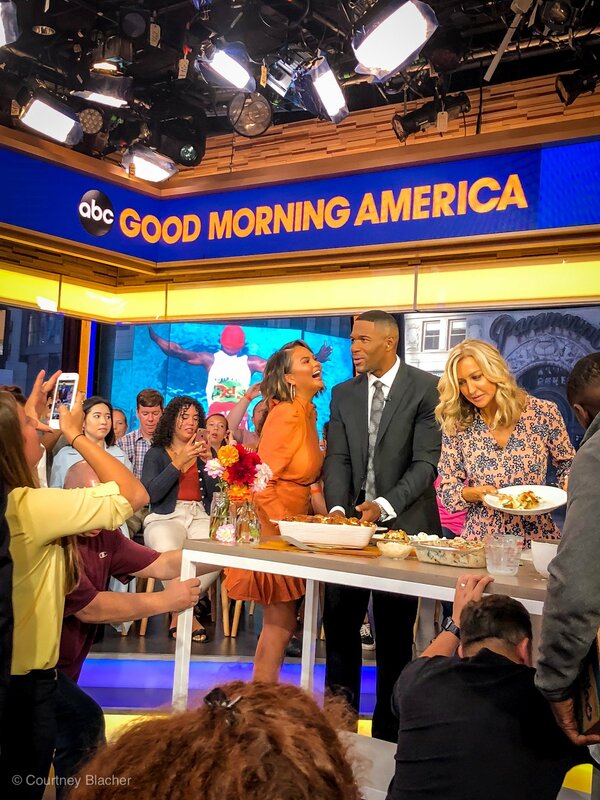 Behind The Scenes With Good Morning America – We woke up super early and walked from our hotel to Good Morning America in Time Square. The first thing they did was take us through the backstage area to the green room. Then they showed us around the control room before taking us to the set, where we got to sit in on a live taping of Good Morning America. On our visit, we got the chance to see Chrissy Teigen and Snow Patrol, who were both guests that morning. I was totally starstruck when I first saw Chrissy, she is GORGOUS in person! 5. 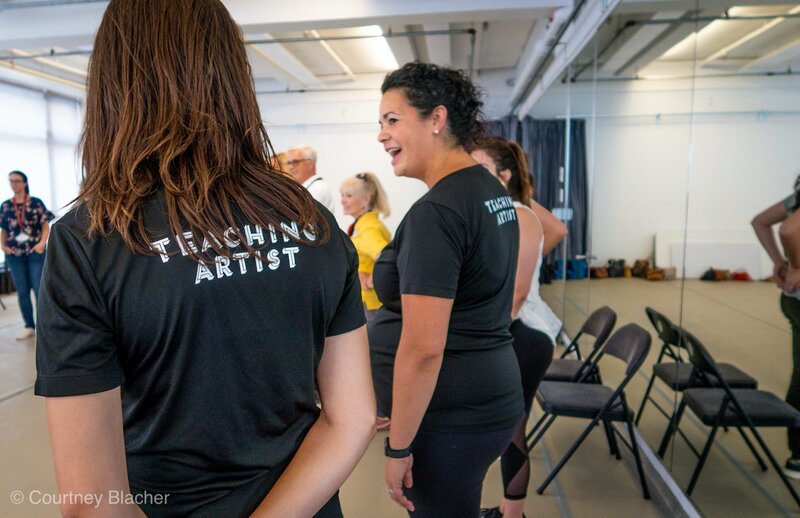 Broadway Theater Workshop – Just when I thought this experience couldn’t get any better, it did. 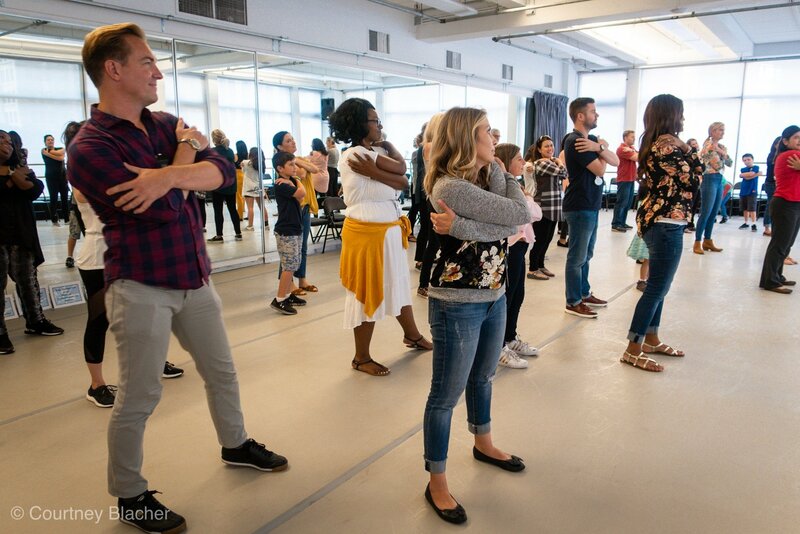 We got the chance to spend two hours learning part of a scene from Disney’s Broadway musical Frozen. The choreographers were super patient with everyone, especially me. They taught us how to sing and dance. The song we learned was from the scene Fixer Upper. You remember that scene, don’t you? It’s the one where Elsa’s sister, Anna, and Kristoff try to convince a bunch of trolls that they’re not in love. Then the trolls break into a song. Well, we got to sing that song, and it made us feel like we were kids again. 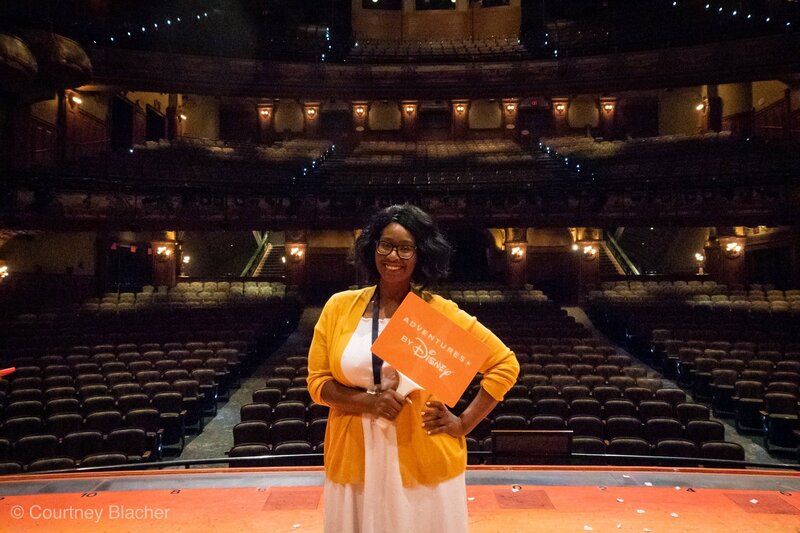 But I’m pretty sure I won’t be quitting my day job to become a Broadway star anytime soon, though, it was HARD work! 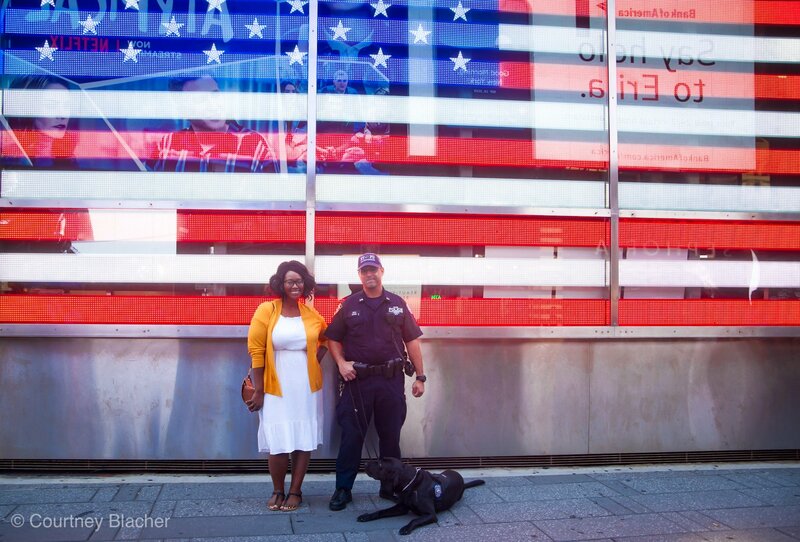 Adventures By Disney New York – Stress-Free Travel, Here’s How They Do It. I experienced an Adventure by Disney New York vacation that I will never forget. The quick getaway was just what I needed to recharge my batteries, this made this trip so amazing was the fact that it was stress-free from beginning to the time I headed back to the airport to come home. New York City was such a breeze thanks to our Disney guides Chris and Laurie who were there to answer any questions and assist when needed. Chris and Laurie were also great with taking photos which is great when you’re traveling with a group and don’t want to leave anyone out of photos. They even e-mailed me the photos, How awesome is that? For my journey back to California they even arranged a driver to take me to the airport, talk about stress-free and a great way to end a trip. 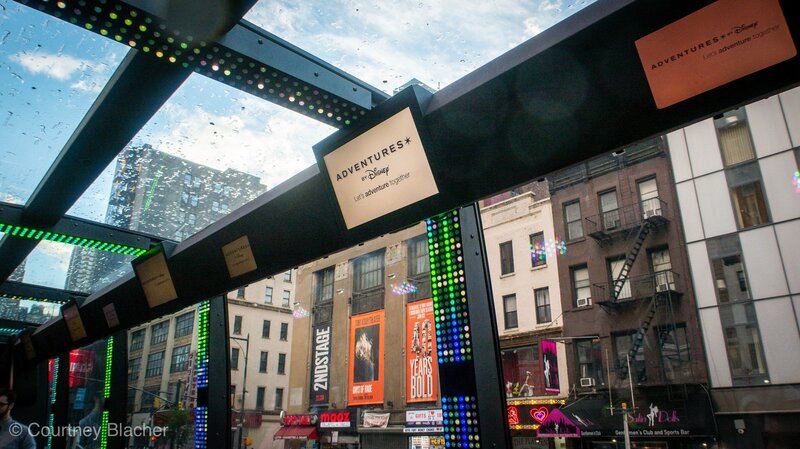 Adventures By Disney New York really went above and beyond! I had such a great time and I honestly can’t wait to try Adventures By Disney New York again. Reese and I are already browsing the website and dreaming of our next adventures…this together. 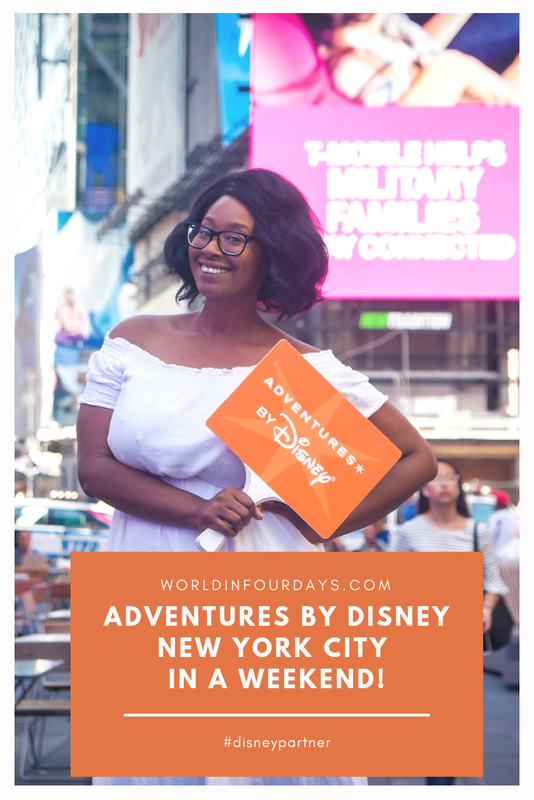 Adventures By Disney New York City In A Weekend! Question of the Day: Can you take snacks into Disneyland? Next Post A Sneak Peek Behind The Scenes With The Cheesecake Factory and Their New Menu!